Book tee times or packages online with us at Laguna golf course and get up to 65% discount. 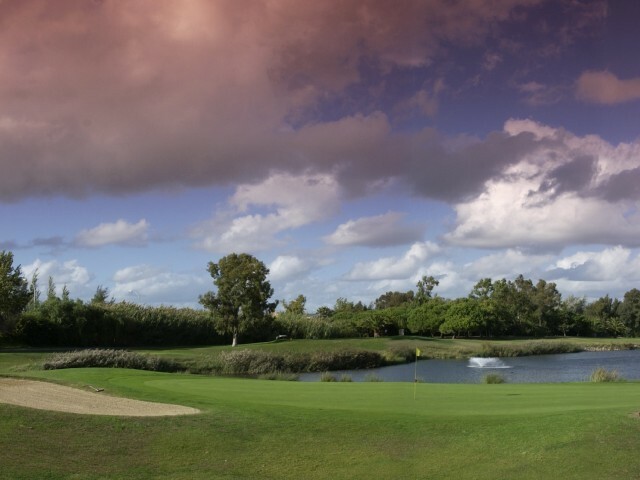 The Laguna Golf Course in Vilamoura was was opened in 1990 and was designed by Joseph Lee. The 18 hole course fairways run over flat terrain and provides the golfer with the most of the challenges associated with many Links Course. There are lots of water hazards with strategically placed 79 bunkers to attract any wayward ball. Combined with the occasional strong wind these factors create an interesting round of golf. The Oceanico Laguna course shares a large and welcoming clubhouse with the more recent neighbouring Oceanico Millennium Golf Course. The Golf Course is 6.121 metres in length and is a Par-72. Due to the combination of water hazards and possible windy conditions the higher handicapped player may find this course very enjoyable to play but these important factors may not be reflected in the final scorecard! The Laguna Golf Course which is surrounded by four other good courses in Vilamoura should be considered by serious golfers in their plans for their Golf Holiday Package.